What kinds of records do you buy? We are mainly interested in long-playing 33and1/3 albums Jazz, Rock, Blues, Soul, Punk, Heavy Metal, Psychedelic, 20th Century Composition, Electronic, Imports, with a special interest in Independent and Underground records. We also buy Audiophile and Imported Classical music, stereo equipment, as well as 45 and 78 rpm records, cassettes and reel to reel. 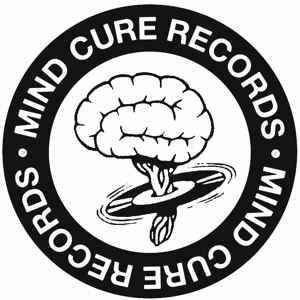 We are always interested in purchasing record collections from DJs, Musicians, Record Reviewers and Show Promoters. The best way to find out if we are interested in what you have is to get in touch with us. Do you buy classical music? Absolutely, but we are looking for specific types of classical music: British and European pressed records as well as Audiophile and Quadraphonic records are of primary interest. More common records such as Vanguard Everyman series are not of interest. The best way to find out if we are interested in what you have is to get in touch with us. What kinds of records don’t you buy? We are not interested in Big Band, Swing, Broadway, Show Tunes Pop Vocals and Crooners (think Andy Williams, Johnny Mathis), Comedy and Holiday Music. 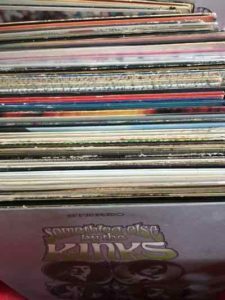 Do my records have to be in good shape? The condition of the records does factor heavily into the price. Any record that originally came in a jacket needs to have that jacket. Records that are scratched, water damaged, clawed by cats etc are of much lower value than if they were in better condition. There are a few factors that affect the value of records – first and foremost is the Performer and Title followed by the condition. It is not easy to say what we can pay for records without actually seeing them but we can offer a general figure in advance, please keep in mind these are just preliminary numbers. Where are you located so I can bring my records to you? We no longer have a brick and mortar location, which means we can come to you. I feel like I can get more money than you are offering on eBay or Discogs is that true? It probably is, if you are willing to put in the work to list them, pack them and ship them and pay the related fees you will most likely end up with more money than selling them to us over time, but we will give you the money today without the hassle of all that other stuff.